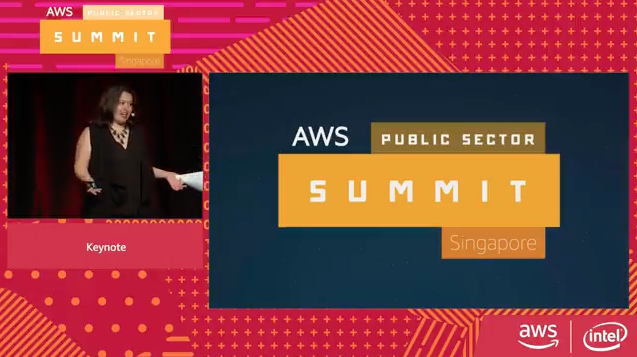 This platform features on-demand broadcasts of the AWS Public Sector Summit Singapore's most inspiring and informative content. Each session aims to help you design a well-planned cloud computing strategy and transform your business through the AWS Cloud. We hope you’ll join us live next time at a Summit happening near you. 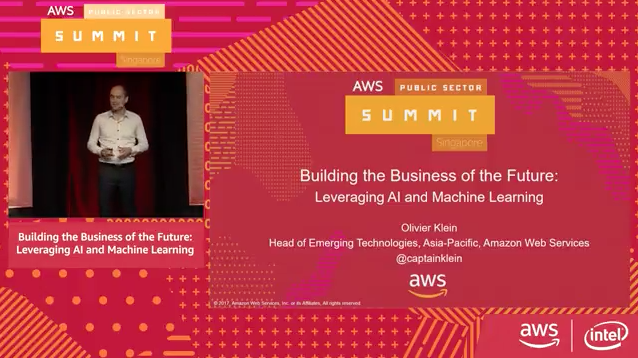 AWS offers a family of AI services that provides cloud-native machine learning and deep learning technologies, which enable developers to build an entirely new generation of apps that can see, hear, speak, understand, and interact with the real world. In this session, we took a look at Amazon Rekognition, Amazon Polly and Amazon Lex. 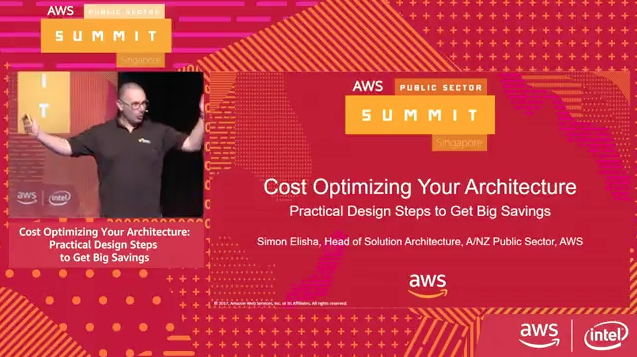 Did you know that AWS enables builders to architect solutions based on their price tolerance? Beyond the typical challenges of function, performance, and scale, you can make your application cost effective. This session used practical examples aimed at architects and developers. Using code and AWS CloudFormation in concert with services such as Amazon EC2, Amazon ECS, Lambda, Amazon RDS, Amazon SQS, Amazon SNS, Amazon S3 and more, we demonstrated the financial advantages of different architectural decisions. Attendees walked away with concrete examples, as well as a new perspective on how they can build systems economically and effectively. The tools researchers use for scientific analysis and discovery are changing. AWS enables flexible, new architectures that users can mold to fit these evolving workflows. 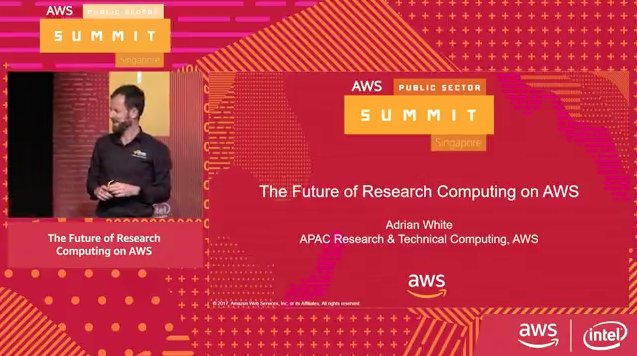 Attendees learned how AWS customers are applying next-generation high performance computing, serverless architectures, and predictive analytics, in concert with machine learning, to do more with their research budgets and solve previously intractable research computing challenges. Networking is changing quickly in the cloud era, allowing for improved latency, packet loss, and overall quality while strengthening operational control. From commodity hardware to virtual and software-defined networks to IPv6 and HTTP/2, things are changing fast, with no sign of slowing. 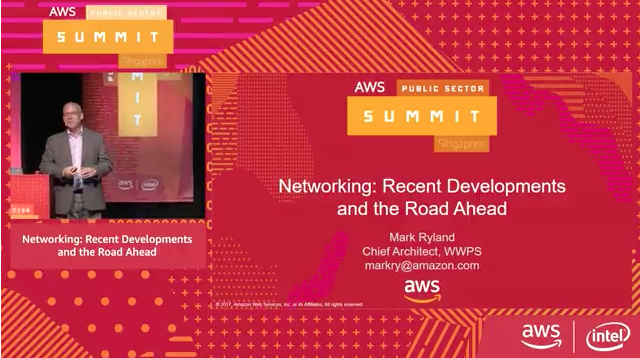 In this talk, we discussed some of these developments and previewed what’s next in the world of AWS and cloud-scale networking. Artificial Intelligence (AI) and Machine Learning (ML) are no longer the stuff of science fiction. Organizations are increasingly using A.I. and Machine Learning to drive innovation -- namely, Amazon.com's retail experience. 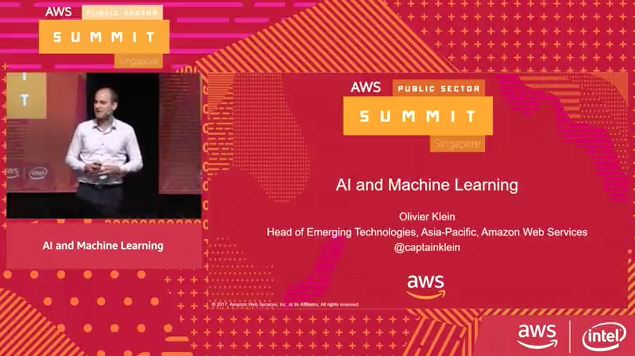 Attendees joined us for an inside look at how Amazon thinks about this technology, and gained insight into a range of new AI/ML services offered by AWS for use in your own business. 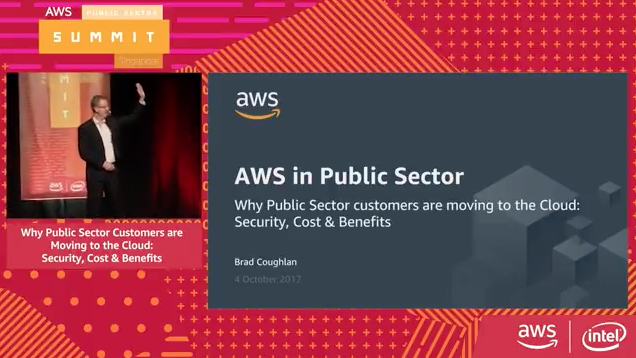 In this session, we covered the most common questions Brad answers when meeting with public sector customers across Asia Pacific and Japan. Why do public sector customers move to the cloud? What are the benefits? Is it secure? What are the barriers to adoption? And what does a typical public sector journey to the cloud look like? Find out what you, too, can do to get started. Building the right culture and empowering employees are critical topics for leaders today. Workplace by Facebook is Facebook's latest internal engagement tool for organizations. Facebook discussed the changing landscape of engagement in the workforce and how Workplace has transformed the way organizations including Tan Tock Seng Hospital, Save the Children, and the Singapore government, communicate and engage with employees. Local governments are faced with improving the quality of life for their citizens through the development of new services. As these smart-city initiatives grow, so does the need to increase IT infrastructure to support them. That’s where cloud computing comes in. 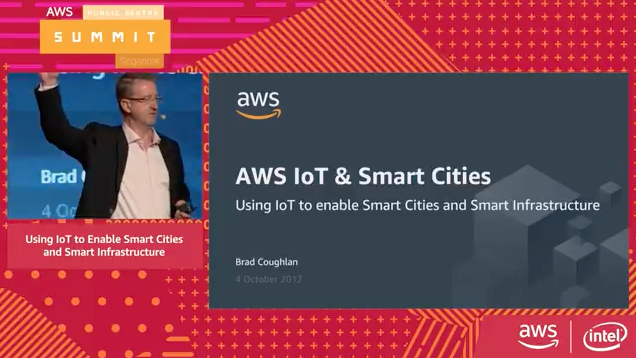 Attendees learned how the AWS Cloud enables cities to obtain flexible, secure, and cost-effective technology to facilitate data storage and scale new services for local consumption.